I wish I found this site sooner. But anyways, I think I am all pumped and ready for the CCNA tomorrow. I don't know if anyone knows how Cisco grades the exam. I know you need to score 85% or higher (849) to pass. My question is, on multiple answer questions of more than one, if one answer is wrong out of 2, is the entire question marked wrong, or does the exam give you credit for what you answered right? Also on the router lab questions, are you allowed to are you able to use the ? for help, and if you were to type the wrong command, will it give you an error message?? 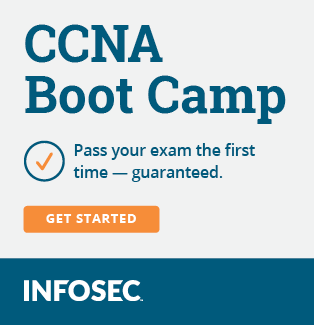 I took the CCNA back in 2001 and passed, and heard it is nothing like the 2001 exam. Just getting recertified. The % is a little lower since you get 300 points for finding the testcenter -- every little bit could help. Only Cisco knows how they grade -- but if we were guessing (or voting) here, I'd vote for partial credit.
? and tab should work in a full simulation question -- and if you make a typo you should get an error message. If you type in a valid wrong command -- no it probably won't tell you -- unless its a valid unsupported command in the sim. 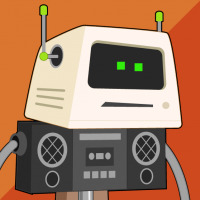 The Simlet type question (last one in the pre-test demo, after the Testlet) may not support all the commands -- could just be used for show commands. If it doesn't accept your command (if your sure you typed it correctly) make sure you're doing what they asked, or think of another way you could do it. You checked the blueprint? NAT is in. IPX is out. Some of the questions could be worded tricky now -- so measure twice and cut once (or read the question, all the answers, and then re-read the question again -- then pick the correct answer or your best guess). And if you had found this site sooner -- we would have tried talking you into taking a 642 level exam to re-certifiy your CCNA. Unless you let your CCNA lapse -- than yeah, back to doing it the hard way. @#@!!!##!!!!!! Yep I failed. 775/1000. It was very difficult, there were questions in there that I did not even read up on. My future job depends on this cert, as well as the CCDP (taking Wednesday). Any pointers/tips before I retake? My future job depends on this cert, as well as the CCDP (taking Wednesday). Any pointers/tips before I retake? Check out the exam blueprint versus what ever book you used to study. If it's not an up-to-date book, get a new one. CCDP? Or did you mean CCDA? The CCDA requires the DESGN exam (and CCNA level knowledge but not the cert), whereas the CCDP certification requires the CCNA, DESGN, BSCI, BCMSN, and ARCH exams. The number 1 book for the CCDA is the Teare book. Top-Down Network Design 2nd Edition is also helpful and reinforces the stuff from the Teare book. If you meant CCDA and used the obsolete Sybex CCDA book -- reschedule your exam.